Tech support is not just something that most businesses need; it’s something more and more companies must provide to their own customers. Whether your business sells smart home appliances, video games, or sonic screwdrivers, you will almost certainly have to provide technical support should something go awry with your products or services. Your ticketing system allows you to interact with customers who have questions or problems that need to be solved. However, a poorly integrated system could end up causing more harm than good. If your tech support ticketing system is not well managed, you need to get it in shape. Here are a few strategies to better manage your tech support tickets. Perhaps your hardware and computer networks are outdated. Or maybe you simply don’t know what type of infrastructure you need to create a viable tech support ticketing system. The good news is there are reputable and experienced IT support companies ready to provide you with a consultation to determine your needs and how best to meet them. 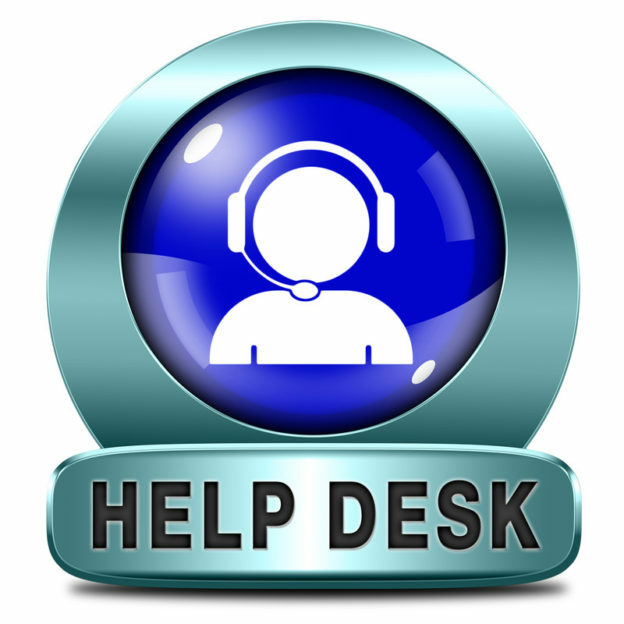 If you want to deliver a superior experience for customers contacting your help desk, you need to make sure you have appropriate infrastructure in place to adequately handle call volume and properly direct inquiries. Your third-party IT support partner can help to ensure you have not only the right pieces in place, but that they also continue to meet your needs now and in the future. As a result, you can continue to meet consumer needs with fast and efficient tech support. There are a lot of choices to compare when it comes to finding the customer support ticketing software that is going to meet all of your needs. It should have all the features required to quickly and effectively assess and address consumer issues. However, it also needs to be user-friendly and integrate input from multiple sources (phone, email, live chat, and so on). The most expensive and complex software may or may not be right for your company, so it’s important to take the time to comparison shop and think about the most suitable ticketing software for current and future needs (as well as your budget). Things will go a lot more smoothly for your customers and your support staff when your ticketing software offers automation features. Naturally, you don’t want customers to get stuck in endless automation loops, but neither do you want to make staffers complete every task manually if a machine can do it faster and more efficiently. What should be automated? For the most part, incoming requests should be automated to fill in information fields and create tickets, whether requests for help are by phone, email, or other contact methods. This alleviates the amount of work customer service representatives have to do to get up to speed with questions and concerns. The right system and software can allow you to automate funneling tickets through a central system and assigning them to appropriate representatives. You can also automate ticket notifications, letting customers know that you have received a request and will respond in a timely manner. The most productive customer interactions will include efficient data collection in order to determine quick and decisive action for resolution. Ticketing software can do a lot to help by providing customers with a variety of options to choose from when it comes to the problems they are experiencing. With this information, tickets can be directed to the most suitable representatives. From there, however, customer service personnel will have to further delve into issues with targeted questions so that an appropriate resolution can be reached in order to satisfy the customer. Training representatives to remain calm, rational, and polite can help to diffuse frustrated customers and expedite the support process. Ensuring satisfied customers means following up on tickets with surveys and reviews that allow customers to rate their experience. Analyzing this information can help your company to spot issues within the ticketing and customer support system in order to make changes and improve the customer experience. Just like you take network and computer security seriously, it’s important to ensure that your technical support tickets are properly managed so as to increase efficiency and provide every customer with an overwhelmingly positive experience. Another consideration for managing support tickets is outsourcing the service to a trusted provider. There are many companies who have effective ticket management systems in place that permit the use of the mature ticketing system for a monthly fee. This is an attractive way to gain access to high-level ticket management capabilities without the upfront investment in infrastructure and knowledge acquisition.